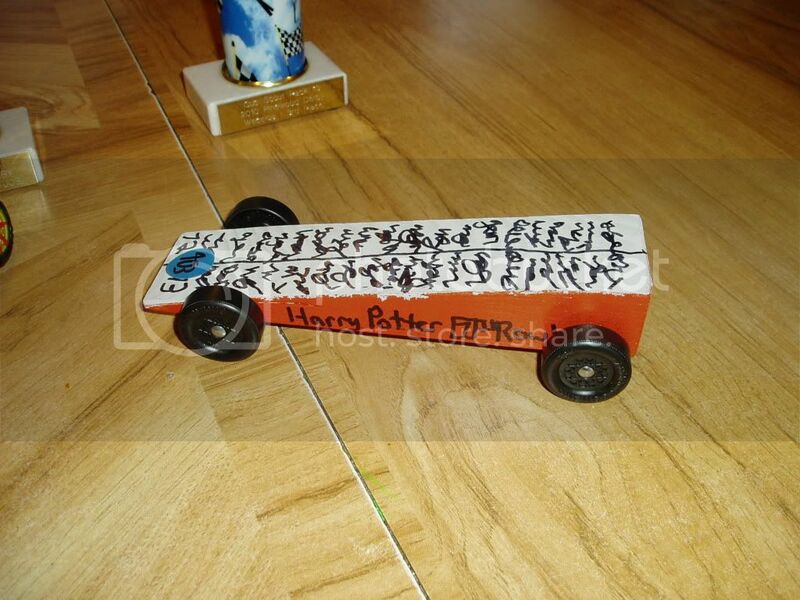 Reader Question: Help With Pinewood Derby? TM reader Brenda wrote to ask where she might find help with teaching her son to make a Pinewood Derby car. And it’s a great question: Where does a parent who’s not that handy turn to give their kids the full Pinewood Derby experience? 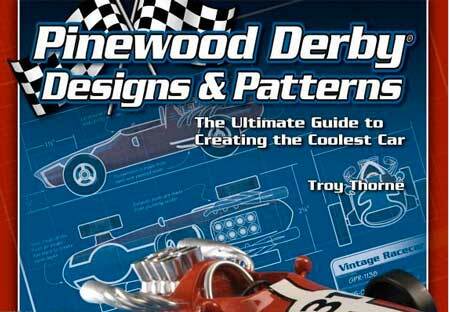 I can think of one suggestion: Start with long-time Toolmonger reader (and friend) Troy Thorne’s book Pinewood Derby Designs & Patterns. Troy is the creative director over at Fox Chapel publishing, and he’s definitely a handy guy. By day he lays out awesome woodworking books. But he spends his nights in the shop, tweaking his home-built Cobra replica and building furniture and canoes. He knows a thing or two about Pinewood Derby cars, too. Designs & Patterns presents the whole building process from start to finish along with specific plans for a couple of hot-ticket cars. It’s $12.95 directly from Fox Chapel, and you can find it on Amazon, too. I might also ask around the local scout groups. Sure, there’s some heavy-duty competition there, but in the end they should see the whole thing as an opportunity for kids to learn a bit about woodwork, too. Surely one of the locals would be willing to step in and show your kid a thing or two. But what would you suggest? 11 Responses to Reader Question: Help With Pinewood Derby? Check with your local woodworking store to see if they can help. In Dayton, the Woodcraft store has, in the past, cut out cars from the marked blocks for scouts that came in. Taking time to polish the axles and get the car aligned so it doesn’t pull to one side seemed to be key when my son’s were building pinewood derby cars. Getting it right to the weight allowed at your race will give you the most potential energy, so go in heavy to weigh in and then drill out just enough to get it past inspections. http://www.maximum-velocity.com has a great newsletter, they also have archives of back issues to read. Lowes and Dremel have teamed up on workshops for pinewood derby car builds. Check out http://www.dremelderby.com/ to see if they have any workshops in your area. I haven’t attend on but the majority of the carving done on my son’s car was done with a dremel. I would second checking with local wood working stores. Here in Des Moines we have the Woodsmith store. A sales associate said they cut out tons of those cars every year. Haven’t looked in a few years but when I was a scout leader, the blanks and kits were available at almost any hobby shop. There’s always online – here’s an example but there are lots of others. I would suggest checking your local rules. I’m not active with Cub Scouts, but am with Venturing and hear about the Cub stuff. Apparently there are some rules in place, at least locally, that really limit what people other than the scout can do on the car. I think it came from too many parents building the car for the scouts. These cars look cool, would be fun to build, and could teach a kid a lot about woodworking. Hats off to Brenda for doing the research and helping her son! I was in a similar situation forty-some years ago with an absent father and it was my mother who got me going and coached me every step of the way. No Dremels back then, we didn’t own any power tools. I think the majority of the work was done with a coping saw, a shoe rasp and sandpaper. Get a copy of the rules and especially the weight limits. Add a big bolt centered somewhere to get near the max. Do your spray painting before adding the wheels and axles. By the way, I ended up winning grand prize! The wedge isn’t good because of the aerodynamics, though. It’s good because it concentrates the weight in the rear, and more weight in the rear makes the car gain more energy. Wedge + added weight as far back as possible (and still allowing for stability) gives the best energy gain. The race is too short to have aerodynamics make a difference. My son and I found that to perform well in the races you need to grind off the burr on the axle (nail), polish the axle, use graphite, sand defects from tires, and make sure it rolls straight. Do that, and you’ll beat 90% of the cars. Oh, and max out the weight. We liked to get it just under the max and bring a glue gun and washers just in case the official scales said something else. Easier to add weight than to take it away. My son has built cars that looked like a steam train and a civil war canon. Both had flat faces and weights in various places, and both finished in the top three. I ran the pinewood derby for several of my son’s cub scout years. We had this cool homemade computer timing and scoring system that one of the dads had built years before – it made the whole thing a real great event and the timing was good to about 1/100 of a second. We always had about 80 cars show up and the software would schedule four rounds of racing, so each car raced down each lane of our track, and it would calculate the fastest car overall. The cool thing is after one run it would sort the cars into similar times, so the races were always pretty close. The bad thing is someone could win every race and not necessarily be the fastest. Running the even was always a balancing act managing both the overzealous dads and the barely parented kids. We always set up a “fix it” table with a few handy dads and some power tools and allowed them to help out a few of the boys who showed up with really badly made cars – I remember one year a kid who had obviously built his car with no help whatsoever showed up with the wheels falling off. I sat down with him for 10 minutes and we straightened and fixed the wheels and put the weight up to right at the max and he came in second overall. That kid was on top of the world. One year I went over to Lowe’s and asked one old timers that worked in the tool department if they could put on a clinic for some of the boys who I knew didn’t have any tools around home. I’m sure he broke every rule in the book, but the guy set up an area in the tool department with workbenches and safety glasses and aprons and hammers and sandpaper and he taught those kids like they were his own grandkids. The kids had a ball – he bandsawed about 15 cars out for those boys, and even had little pint cans of paint and brushes they could take home with them. The body shape makes no difference unless you break the rules, so read the shape rules and let your kid do whatever they want. The younger kids might need some help painting the car to make it look nice. By all means, polish the axles and make sure the wheels turn very freely, and use the graphite, but it’s even more important to make sure the wheels are all on strait and don’t come loose – get them perfectly strait (you’re not allowed to change the wheelbase). Set the car on a piece of glass to see if the wheels all sit perfectly them superglue them very tightly in place, and then be careful not to drop the car, or the wheels will be messed up. Once in awhile, I’ve seen the axle slots in the kit are cut crooked – this will kill the speed – get a new kit or at least make sure the wheels are lined up correctly. Polishing the wheel tread surface – especially rounding them off does make the car faster, but also is illegal – There was always a couple dads who did this, and I can’t tell you how many of them got very angry with me when I told them they had 10 minutes to put brand new wheels on or I would DQ the car. The most important thing that makes a car faster is weight. You should find a postal scale to measure the car and get it really close to the weight limit at home, and also take some sticky weights and put them on the car one at a time until the car weighs exactly 5 ounces – according to the weigh in scale at the event. (also be ready to remove the weight if necessary). If you do that stuff your car will be fast. Everything beyond that is probably a gimmick and may or may not work. The best way to get a really fast car is to build 10 of them with the above intstructions and test them out on a real track and take the fastest one. Most of all – have fun. Less surface contact means less friction- but getting rid of the huge chunk of flash from the sprue is fair game!